Fan out your lashes for a spectacular look! A perfect precision combined with targeted care for reinforced lashes and a 360° fanned out effect! This exclusive formula promotes lash growth and reduces damage thanks to a strengthening molecular duo of Marine Algae associated with Provitamin B5 and antioxidant Vitamins C & E. Day after day, lashes are visibly revitalised, fuller and longer*. 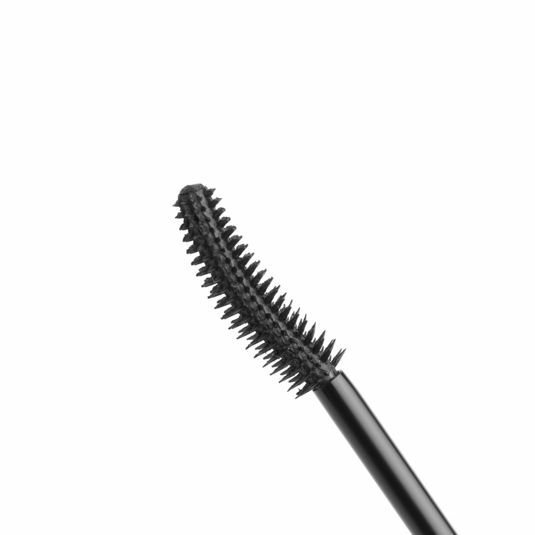 Its technical curved brush perfectly follows the curve of the lashes. Composed of small, cone-shaped and soft spikes, it delivers the perfect amount of product and enables to perfectly and individually catch lashes, even the shortest. For a graphic, gentle and natural makeup. Ophthalmologist tested, suitable even for sensitive eyes and contact lens wearers. Fragrance-free. Apply in a zigzag, with the concave side at the base of the lashes and stretch to the tips. 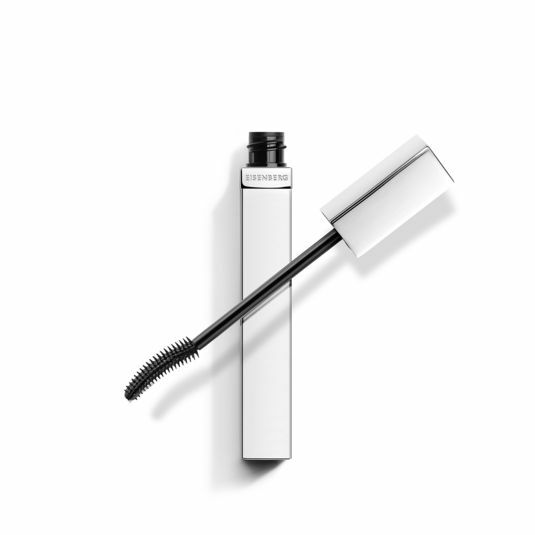 Intensify and fix the curl by pressing the curved side against the upper lashes. Makeup Artist tip: For a perfect 360° effect, use the tip of the mascara on the lower and upper lashes to separate and intensify the curve. Women who wish to ally care and definition, for perfectly curled, longer lashes. Also suitable for sensitive eyes and contact lens wearers. It reveals endless, curled lashes, and guarantees a spectacular definition: +105%* volume and +39%* lash density when applied! ** Results of a self-assessment questionnaire completed by 25 women after 28 days of use. 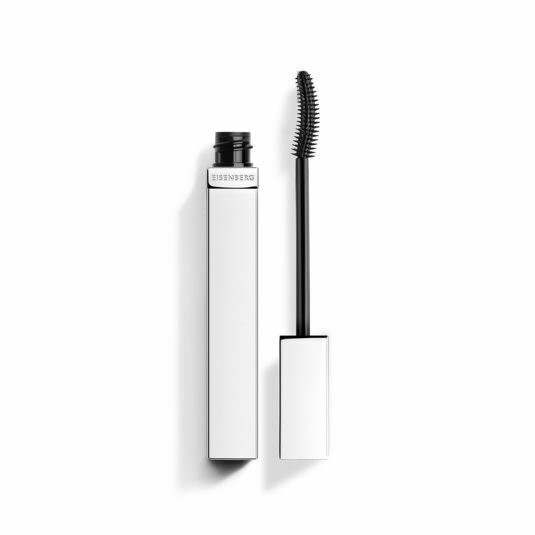 Day after day, lashes are visibly revitalised, fuller and longer*. AQUA (WATER) - SYNTHETIC BEESWAX - PARAFFIN - STEARIC ACID - BUTYLENE GLYCOL - ACACIA SENEGAL GUM - TRIETHANOLAMINE - CERA CARNAUBA (COPERNICIA CERIFERA (CARNAUBA) WAX) - POLYBUTENE - VP/EICOSENE COPOLYMER - GLYCERYL STEARATE - PELVETIA CANALICULATA EXTRACT - LAMINARIA DIGITATA EXTRACT - PANTHENOL - ASCORBYL PALMITATE - TOCOPHEROL - HYDROXYETHYLCELLULOSE - POTASSIUM SORBATE - PHENOXYETHANOL - PROPYLENE GLYCOL - SODIUM STEARATE - CI 77499 (IRON OXIDES). Marine Algae provide an exceptional source of minerals and vitamins. Therefore, the EISENBERG Research has selected two performing Marine Algae for their fortifying, energising and anti-stress properties. This molecular duo stimulates microcirculation, resulting in reducing damage, increasing lash growth speed and density. 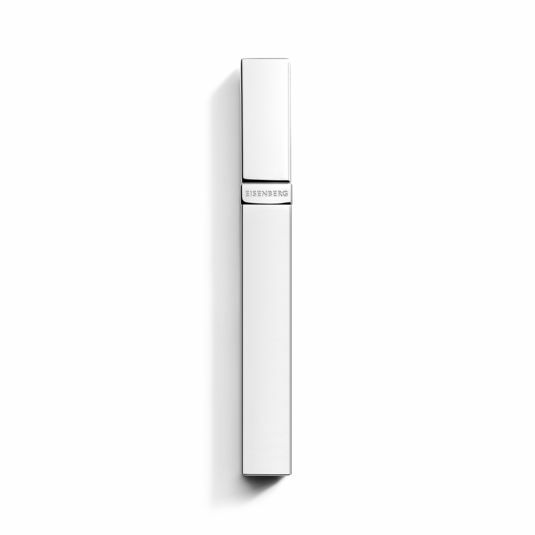 Provitamin B5 is recognised for its fortifying action on lashes. Associated with the molecular duo of Marine Algae, it provides long-lasting moisture, prevents damage and thickens lashes.